There are multiple facets of cycling that make it such a wonderful mood booster. Whether it’s an adrenaline rush of speed cycling or the serenity associated with slowly cycling down the lane, it can always ignite joy. But who would have thought this much loved outdoor activity can be turned into a high-intensity indoor endurance sport? What’s more, with the rise of boutique gym specialising in this niche area of fitness and group classes, say goodbye to rigid horrendous gym environments as the world’s best interior designers give their magic touch to gym decor. Now, imagine a night club with awesome surround-sound system, but instead of dancing, you’re spinning to the beat of your favourite tunes. Combine this with enthusiastic instructors and an energetic group atmosphere, it’s easy to be taken away by the vibe. As you are immersed in it, you’ll be surprised at how many calories you burn and how time just flies by. Spinning utilises the gluteus maximus and quadriceps, some of the largest muscle in your body, which explains why you may be burning 600 calories an hour, or even more. Exercising with music and dimmed light is already indicated by a study to encourage more pleasure and less perception of tiredness. A study published in the Journal of Sports Science and Medicine also reported that indoor cycling triggers energy consumption similar to cross-country skiing and higher alpine skiing. High-intensity spinning is known to increase fitness levels with a notable increase in heart and lung capacity even in trained athletes. It is also known to reduce blood sugar level as reported in a study involving sedentary middle-aged males who are overweight or struggle with obesity. Want to step up your game with an efficient cross training? Complement your spin class with pilates! The idea of cross-training is to incorporate several modes of training to help you make the best of your exercise regime. Pilates and spinning don't appear to have a lot in common, but together they act as a powerful fitness regime and reduce the risk of injury. 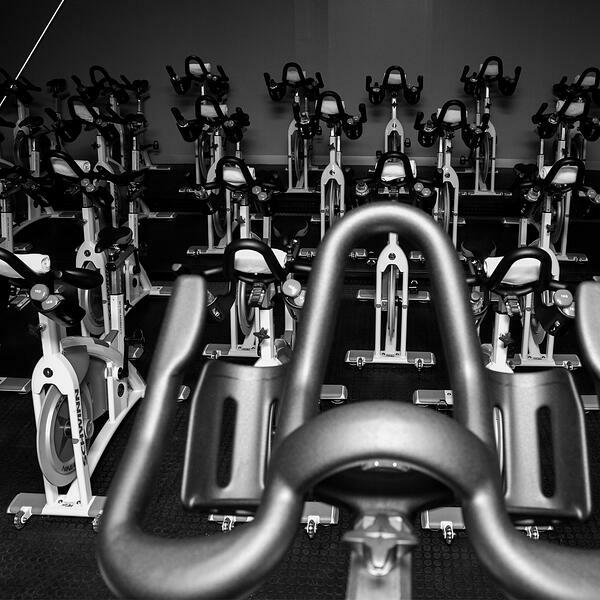 Spinning can be highly demanding on your cardio-respiratory and musculoskeletal system. Pilates, on the other hand, focuses on developing stability of the core (muscles of the abdomen, lower back, and hips), and improving posture, respiration, flexibility, strength and muscle control. As such, Pilates helps to improve your posture and stability on the bike. It will help you to properly engage your core in the rounded forward position without pain in your shoulders or back. Pilates training that strengthens and extend your upper back will keep your chest open and shoulders back to allow deep inhales and exhales even during the hardest parts of the spinning class. Lower body exercises in Pilates will help you build stronger muscles that are used most in spinning and protect your knee joints. Oh, and all the light stretching in Pilates? That will help to address tightness throughout your hips and legs, giving your muscles the much-needed relief after a spinning session. Research on exercise adherence indicates that many individuals drop out of exercise programs because they become bored or injured. 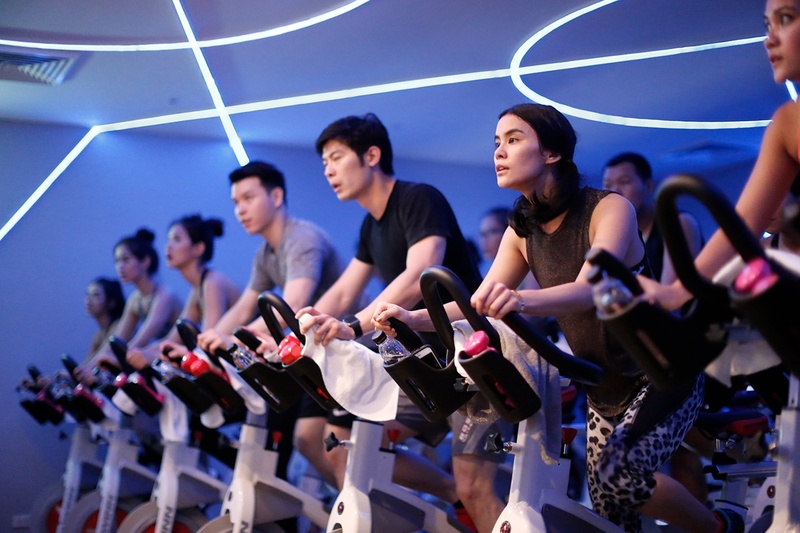 Since variety is the spice of life, the mixed marriage of spin class and pilates provides a cross-training that will motivate you to stick to your fitness regime by reducing the incidence of injury and making you feel less bored. So, what are you waiting for? 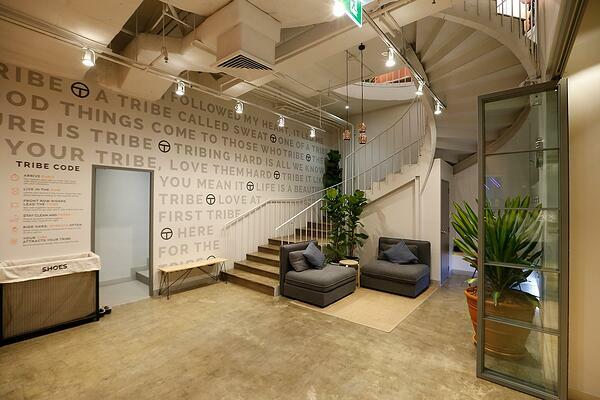 LUMA is a proud partner of TRIBE, Bangkok’s high energy, community-driven pay-as-you-go fitness centre. If you are in search of an awesome, low impact aerobic workout that really burns calories, why not try for a spinning class? Be sure to check the packages available as LUMA member is entitled to exclusive rates at TRIBE. So make the best of your chance to be in a tribe that will feed your eager fitness goal! All images are courtesy of Tribe, Bangkok.